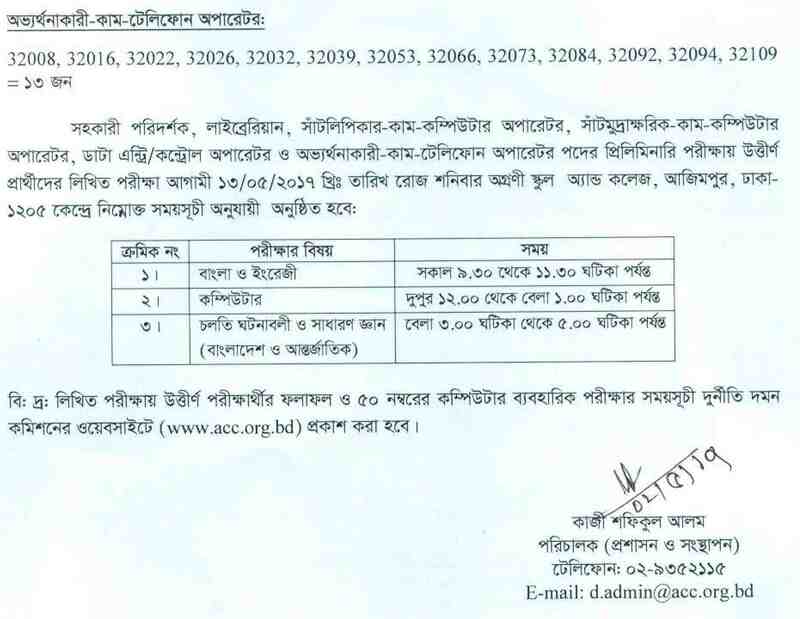 Today www.acc.org.bd Published Durniti Domon Commission mcq result Written Exam Notice for the post of Executive officer. 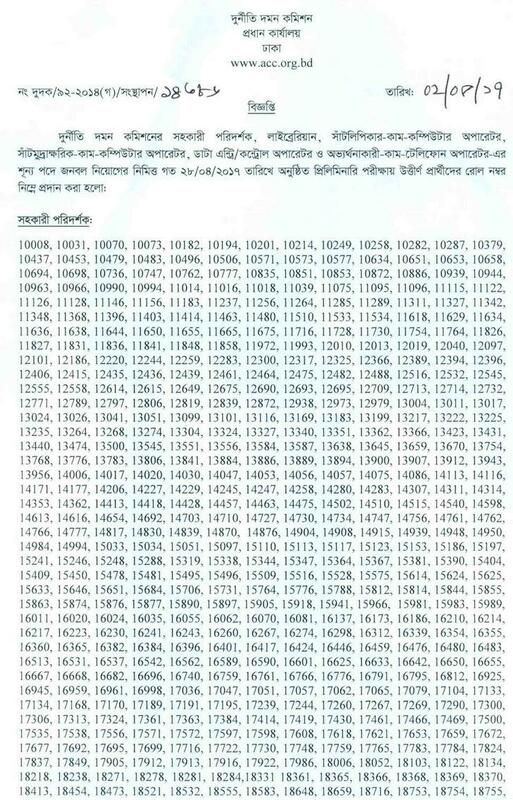 Candidates list who passed the MCQ Test and date & time schedule of written exam for the post of Assistant System Analyst, Assistant Director, Deputy Assistant Didector,Assistant Inspector,Data Entry Operator,Telephone Operator and office Assistant of Durniti Domon Commission. Now Prepare for Durniti Domon Commission Written Examination. Durniti Domon Commission Executive Written Exam Will be held On 02 May 2017. Hope You check Durniti Domon Commission Full Exam Result of MCQ Result in May 2017. For Next Updates about Durniti Domon Commission Written Exam Result 2017 Stay visit Our website . Thanks for Stay with Us. This entry was posted in job results, Notice and tagged jobs Results, MCQ Results by Raju Ahmed. Bookmark the permalink.